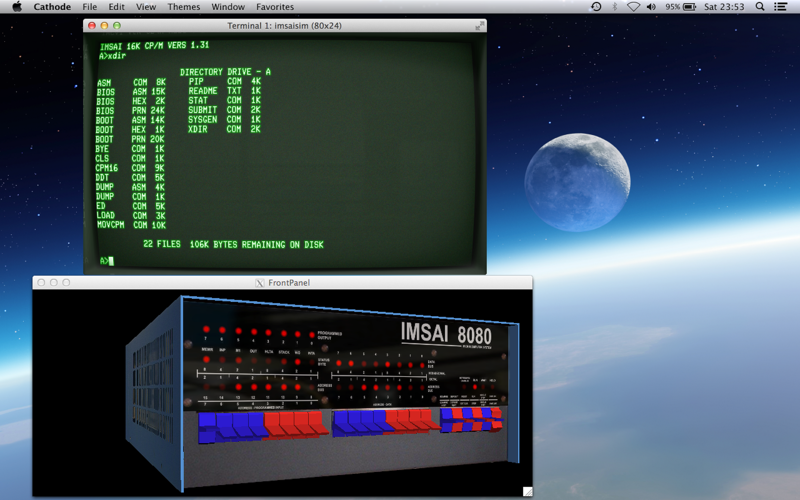 Emulation of an IMSAI 8080 with 2D frontpanel model currently running IMSAI 8K BASIC. 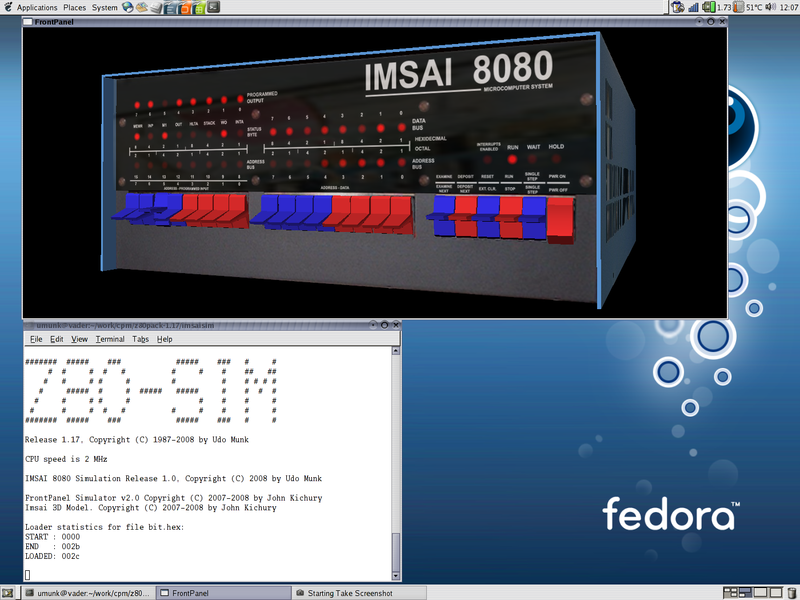 Emulation of an IMSAI 8080 with 3D frontpanel model. The machine runs a small program to play with the programmed output LED's and the programmed input switches. This 3D model is fully functional as described in the Operation Manual for the machine. Another view of the 3D model while playing with the switches. 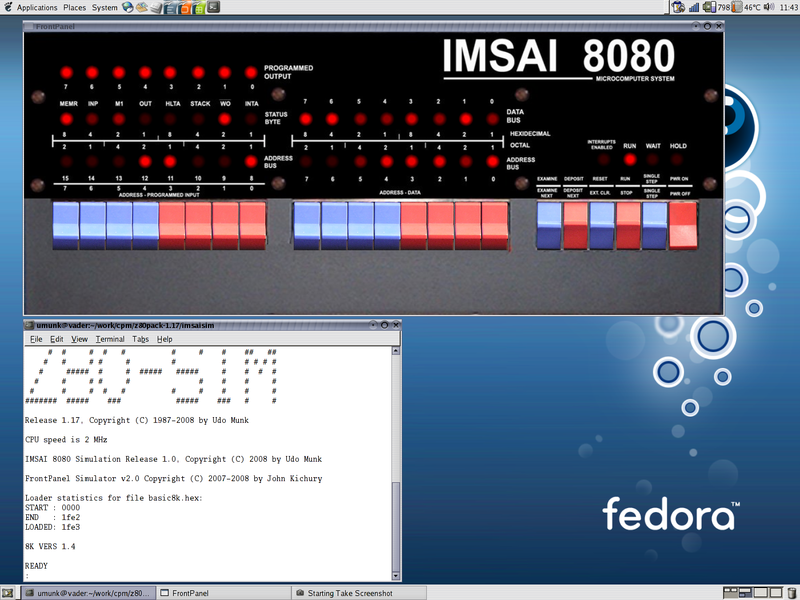 The IMSAI machine running CP/M 1.31 with the original IMSAI boot and BIOS code from 1976. This was the first CP/M system sold to individuals, if you missed it 4 decades ago here you have it now.